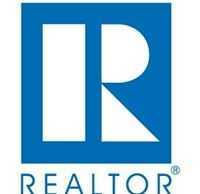 Washington, DC – November 21, 2011 – (RealEstateRama) — Existing-home sales improved in October while the number of homes on the market continued to decline, according to the National Association of Realtors®. Benchmark Revisions: All major statistical data series go through periodic reviews and revisions to ensure that sampling and methodology keep up with changes in the market, such as population changes in sampled areas, to ensure accuracy. NAR began its normal process for benchmarking sales at the beginning of this year in consultation with government agencies, outside housing economists and academic experts. There will be no change to median prices or months-supply of inventory. Although there will be downward revisions to sales volume and unsold inventory, there will be no notable change to previous characterizations of the market in terms of sales trends, monthly percentage changes, etc. In the past NAR has benchmarked to the decennial Census, most recently to the 2000 Census, because it included home sales data. However, the data are no longer included in the Census, so we’ve had to develop a new approach using an independent source to improve methodology and to permit more frequent revisions. Preliminary data for the new benchmark will undergo broad review shortly by professional economists and government agencies. After any issues that may surface in the review process are addressed, we will update monthly seasonal adjustment factors and publish revisions. 2 Contract failures, all-cash transactions, investors, first-time buyers, and distressed sales are from a monthly survey for the Realtors® Confidence Index, posted at Realtor.org. 3Total inventory and month’s supply data are available back through 1999, while single-family inventory and month’s supply are available back to 1982 (prior to 1999, condos were measured quarterly while single-family sales accounted for more than 90 percent of transactions). 4The only valid comparisons for median prices are with the same period a year earlier due to the seasonality in buying patterns. Month-to-month comparisons do not compensate for seasonal changes, especially for the timing of family buying patterns. Changes in the composition of sales can distort median price data. Year-ago median and mean prices sometimes are revised in an automated process if more data is received than was originally reported. The Pending Home Sales Index for October will be released November 30, and existing-home sales for November is scheduled for December 21. The Commercial Real Estate Outlook and market report for the 3rd quarter will be published November 28; all release times are 10:00 a.m. EST.